Need a quick family dinner idea for tonight? These fast and easy grilled cheese recipes are the perfect solution! I mean, is there ANYTHING better than an ooey gooey grilled cheese sandwich? 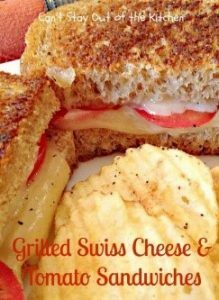 Served with soup, salad or a side of chips and veggies, grilled cheese is a perfect EASY family dinner! Even making (a little bit) FANCY grilled cheese takes less time and effort than hopping in the car and driving to the closest drive-thru. If you keep all the ingredients right on hand, you'll be ready to make grilled cheese any time you need a fast and easy solution to the “what’s for dinner?” question. Yeah, it might seem a bit basic or boring at first, but hear me out—grilled cheese is serious comfort food! Not only is grilled cheese comforting, but it’s FAST. In about 5 minutes you can whip up an amazing, delicious dinner on the table to feed your hungry crew! I know what you’re thinking though—“My husband and kids will get kind of tired of the same ol’ grilled cheese.” Well, guess what?! It’s time to take your grilled cheese game to the next level (and it'll be easy, I totally promise). There are plenty of super easy ways to make seriously amazing grilled cheese sandwiches. In fact, I have a fun challenge for you: try to see how many different versions of grown up grilled cheese you can serve before your family notices. I’m going to bet you can get away with a week or two of different fancy grilled cheese recipes before they catch on (and I also promise there won’t be any complaints). So, skip the drive-thru and serve one of these easy grilled cheese recipes tonight. The process is simple. First, you heat a frying or skillet pan on medium-low heat. Butter the bread on the outside and put a slice of cheese on the inside. Put the sandwich on the frying pan and cook until golden on one-side (about two minutes). Then flip and brown the other side (1-2 minutes more). 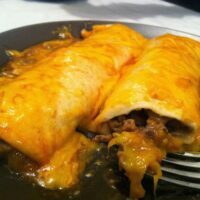 The trick is to cook it on low enough heat that the cheese melts before the outside gets too dark or burns. That’s it! With those simple instructions, you can make a basic grilled cheese sandwich. Now it’s time to take it to the next level! If you want to take your grilled cheese from basic to awesome, there are SO many options! Take your cooking up a notch by trying a cast iron grill pan instead of a frying pan or skillet. Cook grilled cheese on an electric skillet for more temperature control (and if you need to make more than four sandwiches at once). Another option is to put your George Foreman counter-top grill to good use by using it as a sandwich press to make panini-style grilled cheese! Try all kinds of different bread to buff up your grilled cheese sandwich. Use a tortilla to make a quesadilla (still pretty much a grilled cheese, right?) or try it on flatbread. Challah bread, French and Italian bread all make awesome bases for grilled cheese. Keep in mind—with different breads your cooking time and temp might change, so play around to find what works. While most people use margarine for their basic grilled cheese, real butter adds a richness and “restaurant” depth. For the ULTIMATE grilled cheese hack, try mayonnaise on the outside of your bread instead of butter! Mayo browns more evenly and adds a slight crust to your sandwich that is to DIE for! 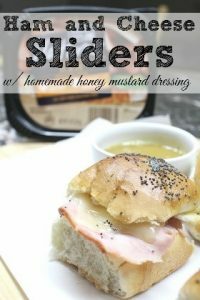 You can also add a sprinkle of Kraft Parmesan Cheese (the stuff in the green can) to the OUTSIDE of your sandwich to create a cheesy, crunchy outer layer. SO GOOD. 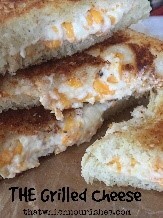 Now the real secret to awesome, easy grilled cheese recipes is to mix up the fillings! 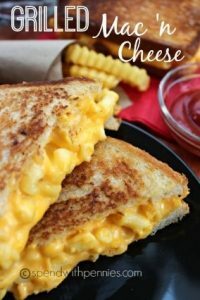 There are literally a bazillion easy grilled cheese recipes out there but here are 42 delicious grilled cheese ideas to get you started! When it comes to dressing up grilled cheese, the sky’s the limit! 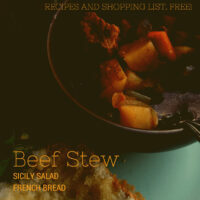 You can even incorporate leftovers like chicken, steak, vegetables and fruit. Try cherries with chicken and swiss, or shredded turkey with mozzarella and a spread of cranberry sauce! Go nuts! 7. Pickle & Swiss: Layer Swiss cheese with dill pickles and jam, sliced bread, margarine. 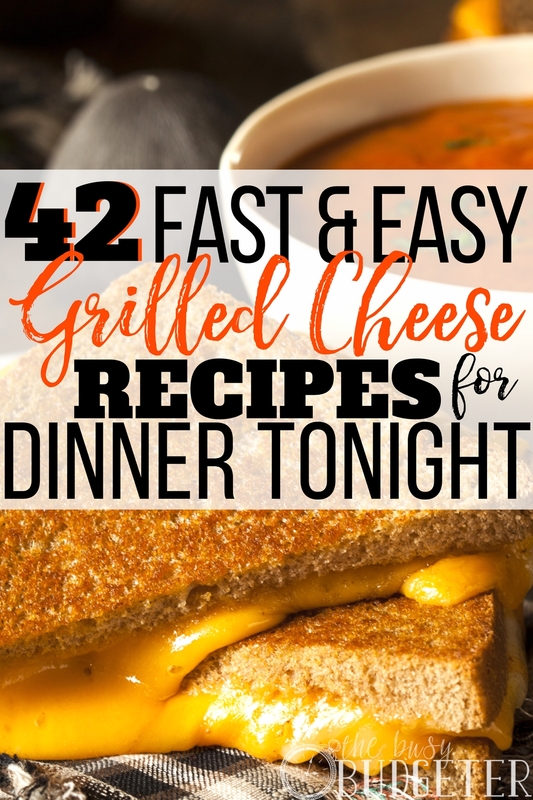 So next time you’re wondering what’s for dinner, try making the most of a simple basic meal with these easy grilled cheese recipes. Add some personality and pizzazz to whip up an easy grilled cheese dinner for the whole family. We all have a favorite go-to grilled cheese style, what’s yours? Yum! Grilled Cheese is such a classic. 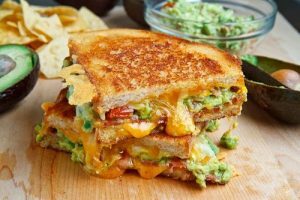 While I absolutely love your basic ol’ grilled cheese sandwich, I am so inspired to see so many new combinations I never thought of! My personal favorite (for now) combination that we make is Raisin bread, your favorite cheese, and thinly sliced apples inside the sandwich. It’s amazing. Thank you for this very tasty roundup of ideas! 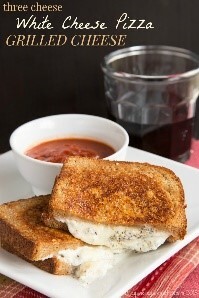 My favorite is to use a thinner Italian bread and make a Caprese grilled cheese with mozzarella, proscuito, and pesto. This is gold. 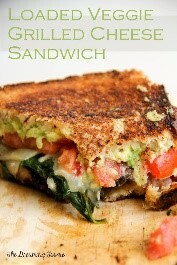 Thank you for these numerous ways to enjoy grilled cheese since we can’t enough of them. So far, our favorites are brie with steak and apple & jalapeno jelly. Appreciate your creations very much; all the ideas take the blues away 🙂 Thank you so much ! Yay! These will be super helpful when I’m looking for ideas and recipes. Cheese is always a party winner if you ask me, great recipes Rosemarie. The item you have got shared here may be very super. I honestly like and admire your work. The points you have noted in this article are beneficial. I have to try to follow these factors and also percentage others.